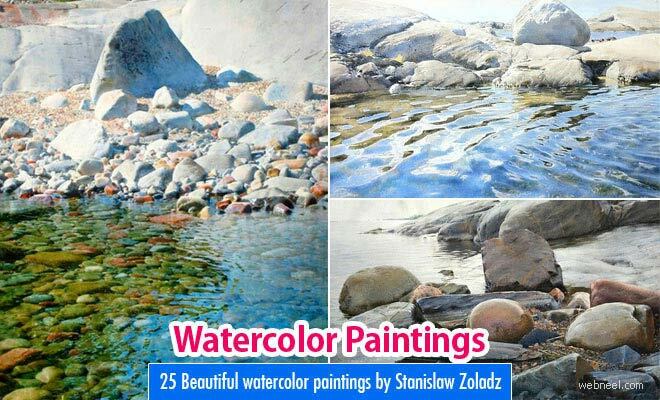 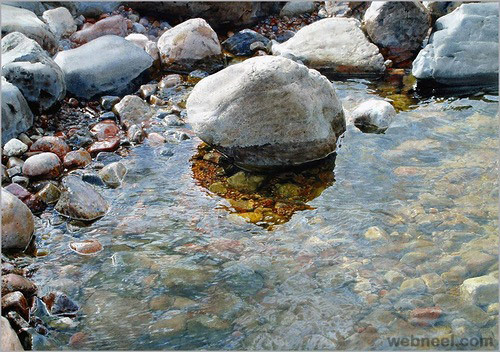 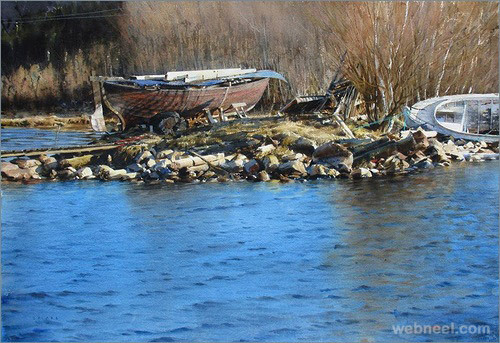 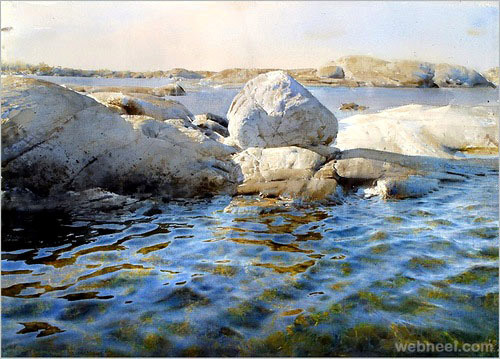 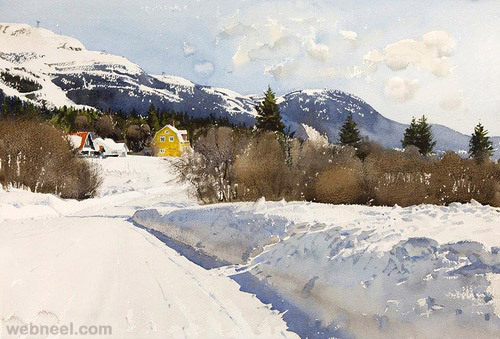 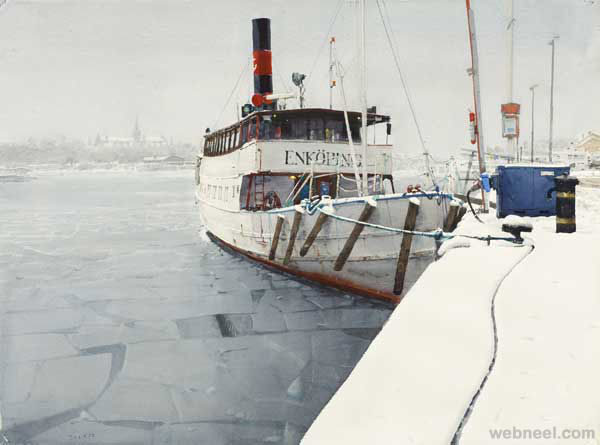 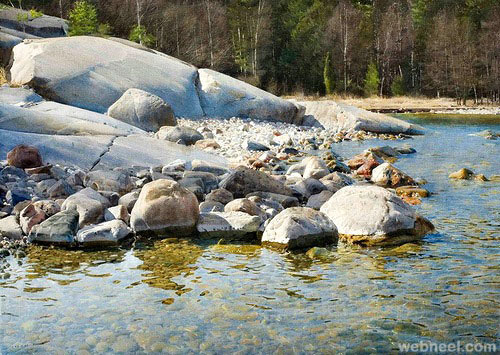 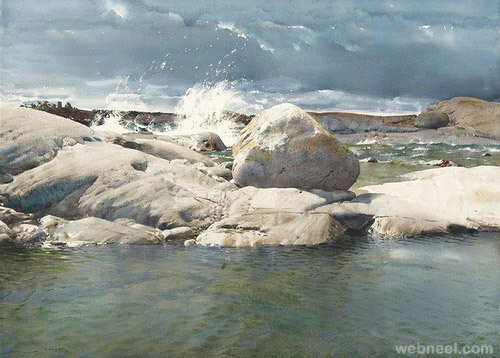 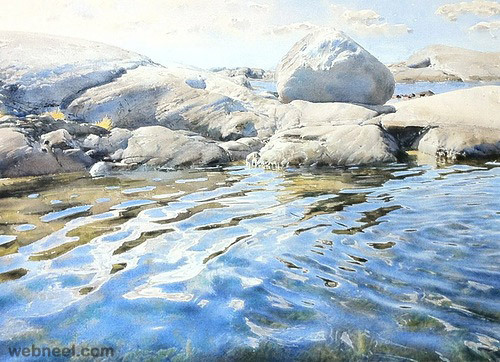 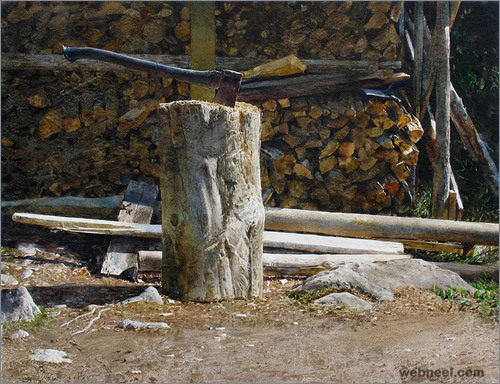 Realistic Water color painting : Stanislaw Zoladz was born in 1952 in Poland, and has studied at Kraków Academy of Fine Arts. 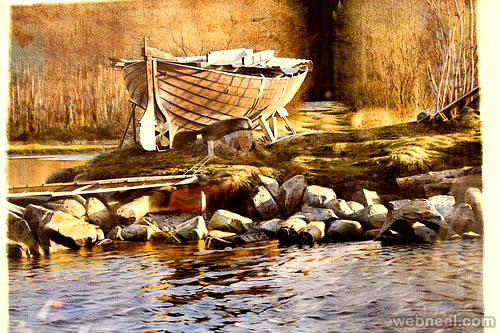 Since 1978 he lives and works in Sweden. 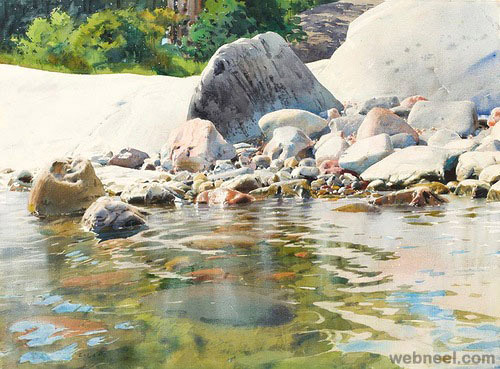 To find motifs for his paintings, Stanislaw is always on the hunt for exiting light settings. 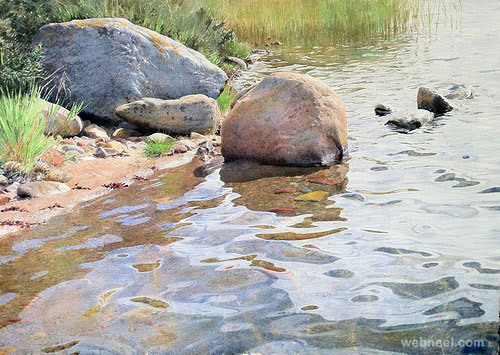 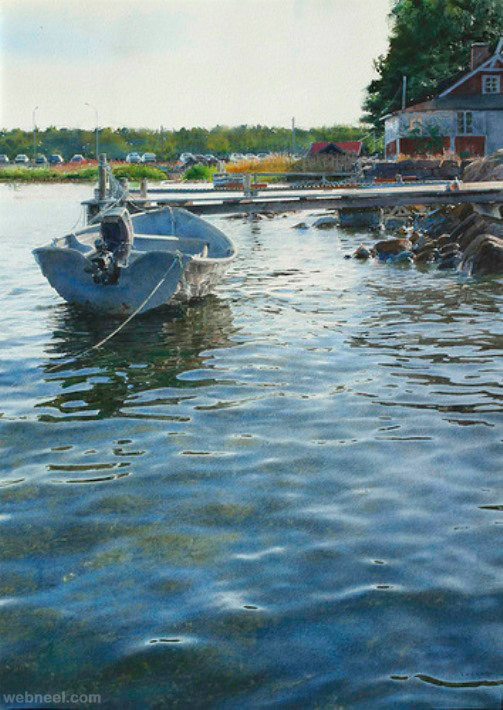 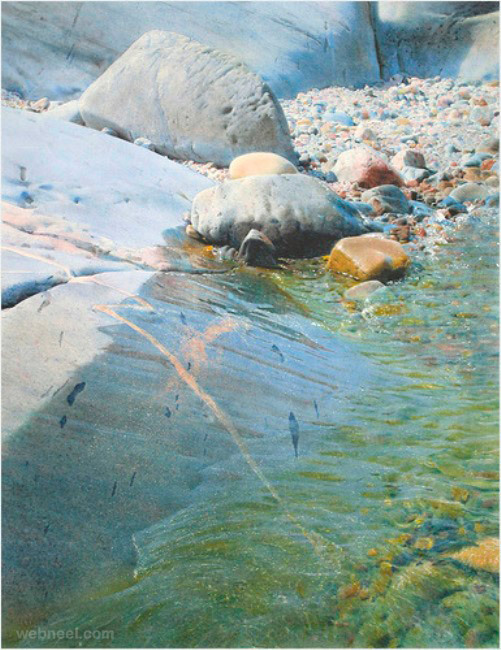 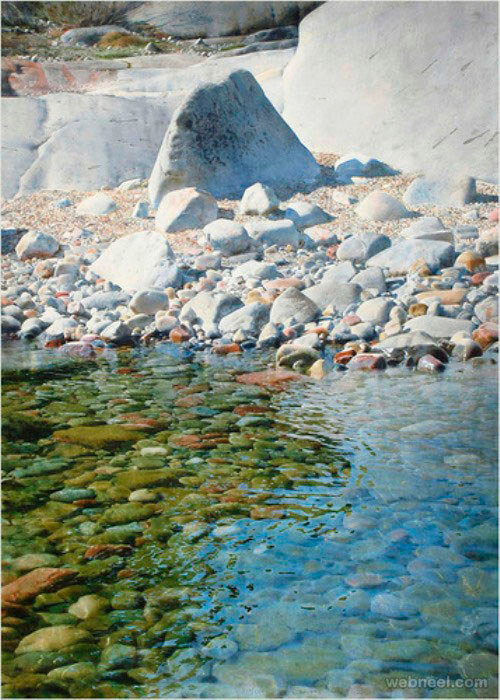 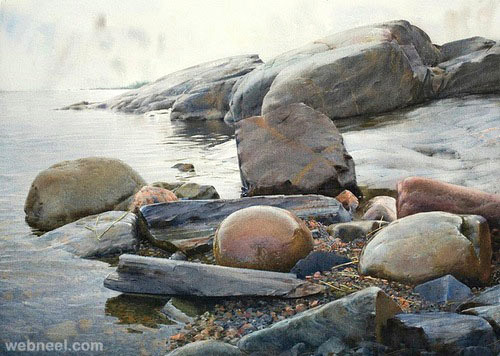 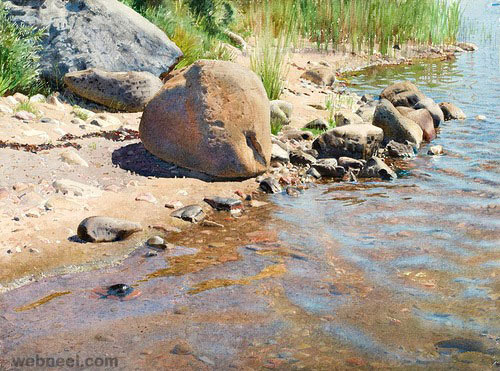 In the summer he paints where growth gives way to rocks by the water in Stockholm's achipelago. 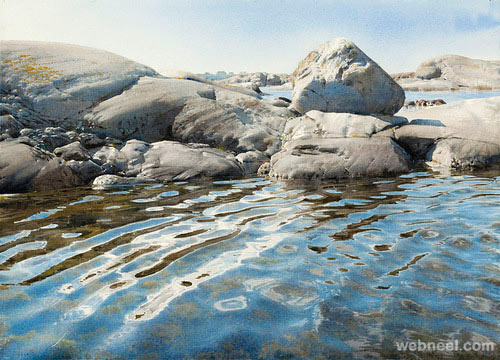 Nature is a predominant theme in his works of art. 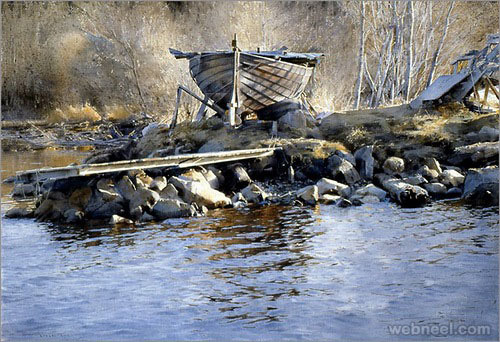 But quite often an abandoned tractor, or a red cottage by the horizon, also remind us of human presence.